Rest in Peace wasn’t always a Modern staple. For a long time, its status was similar to Blood Moon’s: the card was relegated to the sideboards of decks fringe and unreliable for the reason that they themselves lacked powerful graveyard synergies, and kept down by synergy-shredding strategies like Jund Rock. But Modern has changed, and its widespread adoption of graveyard hate deeply affects strategic viability. This week, we’ll take a look at how two of my brews—Sultai Rogues and BURG Shadow—fare in the current metagame, and examine the restrictions on graveyard synergies imposed by today’s Modern format. Here’s my current build of Sultai Rogues. Other than the sideboard, which has received a complete makeover, this list is almost exactly the one I posted back in February; the biggest change I made between versions was dropping Mutavault for more Darkslick Shores and accommodating a fourth green source to hedge against Spreading Seas and improve the Traverse-for-a-haymaker plan post-board. Vault was tough on our mana and rarely relevant outside of helping close longer games; its purported tribal synergies barely reared their greedy heads. Part of the reason I returned to Sultai Rogues is I like how its threats line up right now. 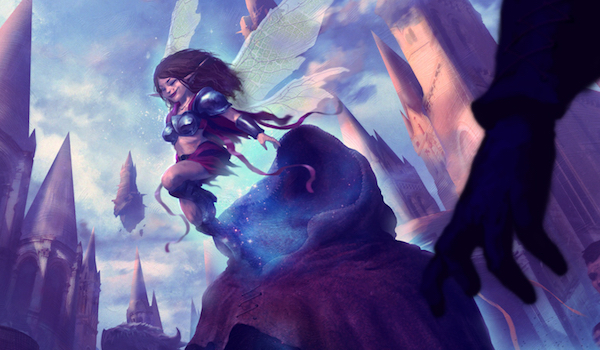 Small fliers that replace themselves are great at overloading heavy-duty removal spells like Fatal Push and Path to Exile, and excel in metagames light on Lightning Bolt. I’ve tuned the deck to beat up on Death’s Shadow (Push, the aforementioned fliers, Chameleon Colossus), Eldrazi Tron (the fliers again, Goyfs, Seas/Rejection), and Affinity (Prowler, fliers). I also like how Sultai Rogues picks up virtual free wins against decks that care about sticking x/1s early thanks to Fourth Bridge Prowler. Steel Overseer, Noble Hierarch—even the rare Dark Confidant or Grim Lavamancer aren’t long for this world against us, and the newcomer really ties the deck together just by virtue of being an on-tribe one-drop. Which brings us to the real reason to play this deck: consistency. Opponents land a Tasigur? Murderous Cut. They land Phyrexian Unlife? Abrupt Decay. They offer us a window to get crazy in the late-game? Traverse for Snap, Snap-Traverse for Imposter, Imposter bounce Snap, Snap-Traverse for Spellstutter Sprite. Our combination of Serum Visions, Traverse the Ulvenwald, and Thieves’ Fortune helps us find exactly what we need when we need it. Negating that engine proves simple enough—opponents just need to shoot our turn-one Rogue with the quickness. In this metagame, though, that’s a Push or Path not directed at Tarmogoyf, so we’re generally a lock to sculpt a competent gameplan before the 1/1 dies. Often, the card advantage generated by micro-synergies featuring Miscreant, Prowler, Imposter, Snapcaster, and Sprite snowballs to create a game state in which opponents are forced to burn their powerful removal spells on our 1/1s after all, but later than they should have, opening the floodgates for a couple Goyfs to come down and finish up. And of course, should our 1/1s die early, Goyf is a reasonable a follow-up as ever, now forcing opponents to have a second Push handy. My first experiments with Thieves’ Fortune proved relatively fruitless, as I ended up concocting a worse Splinter Twin. To quote myself in “Prowl Service: Brewing Temur Rogues,” “I built a deck around Thieves’ Fortune that ran better without Thieves’ Fortune.” Simply put, the card wasn’t worth brewing around. Sultai Rogues does not suffer from this issue. Thieves’ Fortune is in fact the reason to play the deck at all, and with eight one-drop Rogues (neither Faerie Miscreant nor Fourth Bridge Prowler existed when I took this project up over a year ago), the card becomes very reliable. So much so that I’d play eight copies if I could, signaling to me that this build at last takes advantage of the card properly. Besides ensuring things run smoothly, Fortune makes Sultai Rogues highly adaptable. Sideboard bullets like Thrun, Colossus, Thragtusk, and Pithing Needle are laughably easy to find. The consistency afforded by Theives’ Fortune (which, incidentally, practically turns on delirium by itself) gives us a reasonable plan against any deck that struggles against a certain hate piece in our colors. Post-Prowler, the Rogue problem isn’t any longer the literal problem of lacking playable Rogues. Rather, it’s the polarizing effect Death’s Shadow has had on the format. Just as blazing-fast aggro-combo decks ruined Gitaxian Probe for the rest of us, Jund Shadow’s presence has ramped up Modern’s graveyard hate, which weakens Traverse and Goyf and lowers the payoff of casting Thieves’ Fortune. Testing with this deck, and with Shadow decks of my own, has shown me that if I want to play a delirium strategy competitively, there’s in fact little incentive not to just play Shadow. But is Traverse the Ulvenwald itself even worth building around anymore? A few weeks ago, Claim // Fame had me excited as a potential include in a four-color Death’s Shadow deck. I’ve put in some reps with the deck and made some changes. Notably, Traverse the Ulvenwald is now gone from this list! Hang on—isn’t this the deck I’d play to abuse Traverse in the first place? Well, yes and no. This build of Four-Color Shadow takes the Grixis Shadow core and sacrifices delve threats for Goyf and Claim // Fame. What we end up with is a Shadow deck better suited to combat midrange strategies than Grixis, able to apply pressure more quickly via Goyf, and close games out of nowhere with a powerful Battle Rage. In other words, BURG Shadow attacks opponents from more dimensions than Grixis does. The Scour-plus-Snap-plus-bullets package also contributes to this goal. BURG doesn’t gain these angles of attack for free, though. Relying on Goyf over delve threats makes the deck softer to Fatal Push, if better against Path to Exile. And running Claim // Fame further weakens the deck to grave hate. That’s actually the reason Traverse finally got the axe in favor of Serum Visions—delirium is just too easy to disrupt. Interactive (read: black) decks don’t even need to run symmetrical hosers like Rest in Peace or Relic of Progenitus to disrupt delirium effectively. Leyline of the Void has seen some play in and out of Dredge sideboards, but the real culprit here is Nihil Spellbomb. Since the rise of Jund Shadow, Spellbomb has quietly stormed the Modern scene and made sculpting a gameplan around delirium a huge liability. Another card to watch out for is Surgical Extraction. While Extraction can be hit-or-miss against Shadow decks, depending on the in-game context, it’s insane against Claim // Fame. Extraction can disrupt a Traverse or mess up the scry from Serum Visions, but its strongest use here is blowing out a Claim or a Snapcaster Mage target. Countering an opposing spell for zero mana, gaining information, and taking out all of an opponent’s copies of Fatal Push/Death’s Shadow/etc. at the same time gives the card an incredible ceiling. It doesn’t help that Surgical sees play virtually everywhere these days, making it an even surer shot to run into than Nihil Spellbomb. We can beat Spellbomb by trading in Traverse for Visions, but there’s no easy fix for the Surgical problem. On paper, Claim // Fame should be an absolute bomb in the Shadow mirror; in practice, Spellbomb and Surgical make the mirror close if not unfavorable. So, what’s the solution? The conclusion I’ve arrived at—that I don’t much like, mind you—is that Grixis Shadow is still a better deck. Utilizing the graveyard is powerful enough in Modern to be practically necessary for many strategies. Grixis does a great job of walking the line, using the graveyard as much as it can without totally biting the dust in the face of hate. Fewer delve cards or Snapcasters and the deck would lose out on its oomph and grind game; more graveyard synergies and the deck will likelier fold to a single Rest in Peace. The reason this revelation troubles me is that it bodes ill for lower-tier decks, and especially for brews. Over the last couple of weeks, we’ve seen dedicated graveyard strategies like Storm, Dredge, and Jund Shadow dive in representation percentages, and decks that otherwise seem well-positioned, like Esper Gifts and Knightfall, have all but dropped off anyone’s radar. Modern’s exemplar grave hate has finally clawed its way to the format’s forefront, and has brought with it what seems like a net diversity loss. That’s a strike against Shadow omitted in last week’s piece, which tallied the deck’s positive and negative effects on the format; mostly, though, it’s a strike against Traverse the Ulvenwald, which forms the backbone of the most effective Death’s Shadow deck in the absence of grave hate. Either way, it’s bitterly funny to me that Dredge isn’t the deck that inspired so much grave hate. Rather, Dredge appears to have been incidentally hated out of the format by virtue of everyone packing Rest in Peace, Surgical Extraction, and Nihil Spellbomb to fight Shadow, just as Affinity was more easily incidentally hated out while Lightning Bolt remained a major player in Modern. With Bolt absent from the spotlight, that deck has maintained an impressive top-tier share, despite its own supposed softness to targeted hate. This dark cloud does have a silver lining. Barring perhaps UW Control, whose own inconsistency and durdliness keep it from Modern’s throne, the format’s top decks are all easily disruptable. Do you badly want to beat Affinity? Ancient Grudge, Kozilek’s Return, and Stony Silence happen to still be cards. Shadow? There are plenty of splashable grave hate options, as mentioned above; an abundance of removal also does a number on this deck, as do narrower options like Chalice of the Void and Runed Halo. Titan Shift? The long-forgotten Blood Moon would like a word. It seems the trick, and what I anticipate to become a deciding factor in competent brewing this season, is to find a way to accommodate these hate cards into shells proactive enough to dismantle UW and Eldrazi Tron but not overly soft to hate cards themselves. Easier said than done, I know. But the decks that succeed on this metric, assuming they’re out there, stand to inspire Modern’s next big permutation. All good things must come to an end. I have badly wanted Traverse the Ulvenwald to work in Modern since it was first spoiled, and my wish was granted—at the cost of making the card unplayable once more. But Modern is constantly evolving, and the format’s cyclical nature gives me hope that I’ll be able to tutor up haymakers again some day. That said, I hold that just about anything works at the local level, and you’d better believe I’ll be slamming consecutive Chameleons against Grixis Shadow again tonight. I found that Spell Pierce was pretty much always better in the matchups you want Squad for. Traversing for it isn’t great either because we’d often rather either get SSSprite (to stop their plays) or Goyf (to increase pressure) against combo decks, or just a land.